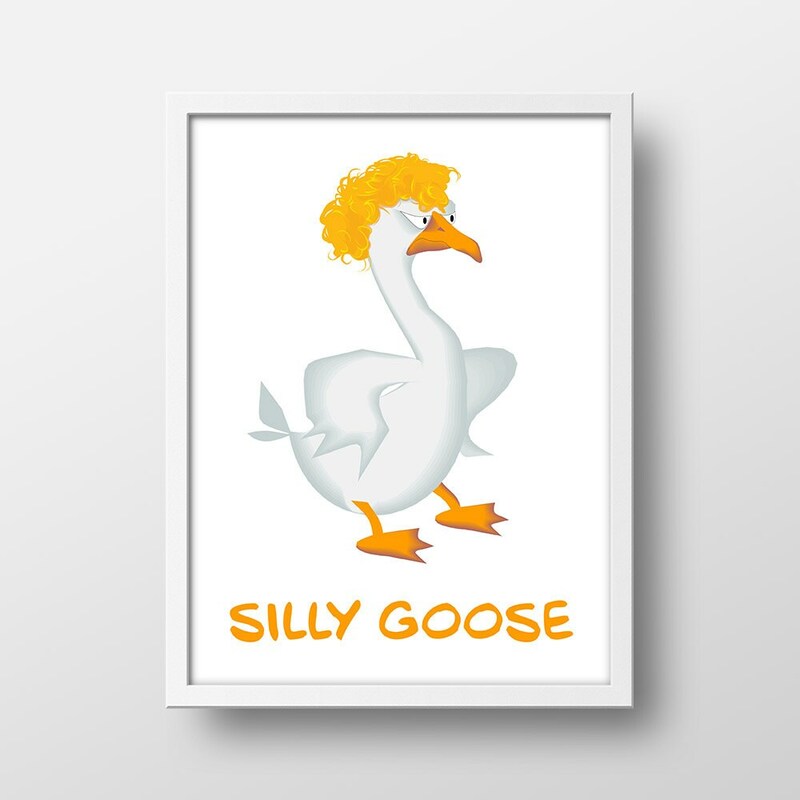 Liven up your baby’s nursery or child’s room with this funny silly goose art print, a perfect addition to any little girl or boy's room! Makes a great birthday or baby shower gift. This is for an 8”x10” digital file of “Silly Goose". Frame and Matte are NOT included and you will NOT receive a print. Colors are customizable. If you would like a different color, please convo me BEFORE you purchase this item! I will be happy to set up a custom listing for you, at no additional charge. Want a different size? If you would like a different size, please convo me BEFORE you purchase this item! I will be happy to set up a custom listing for you, at no additional charge. LET US DO THE PRINTING! Indicate the name of the print or copy this link in the notes section at checkout. The colors you see on your monitor may vary slightly when printed. This is due to differences in monitors. All designs are for personal use and remain the copyright of BlanchardBits Designs and cannot be resold or redistributed (please do not forward this file).